Leeward Solutions, LLC, is a leader in introducing stream restoration and stabilization to Iowa, using natural practices. "Let the water do the work," and let the rivers do what they need. 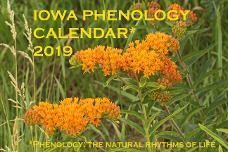 The 2019 Iowa Phenology Calendar is still available! 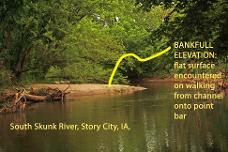 For more information, click here or go to the Watershed Calendar link above. To send a message about the calendar or Leeward's services, visit the Contact Leeward page. Stream restoration and stabilization with natural designs. Planning & installation of conservation measures on agricultural land. 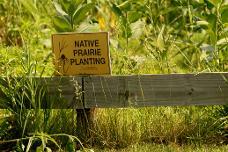 Invasive & native plants & their management. How to plant to encourage pollinating insects. The benefits of prescribed fire for ecosystems. Leeward Solutions, LLC brings competence in botany, hydrology, soils, streams, and wildlife together with safe equipment and site practices to address your needs. Leeward teams with other professionals and local companies to accomplish your objectives. Copyright 2012-2018 Leeward Solutions, LLC, a small business located out of Marshalltown, IA. 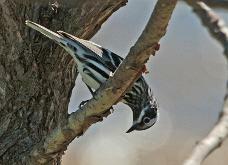 All rights reserved, including for images and text on the site, except as noted. Photo of Leland Searles above copyright Luke Gran 2017. Phone: 515-979-6457. Email: leewardecology3@gmail.com.